Two bull bison on Antelope Island in the Great Salt Lake, with Promontory Mountains and Fremont Island in the distance. 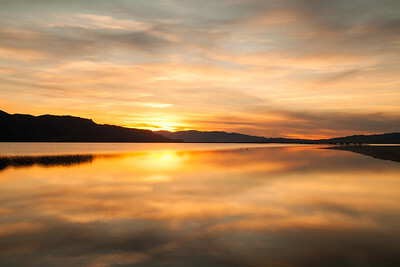 Bear Lake, Utah and Idaho. 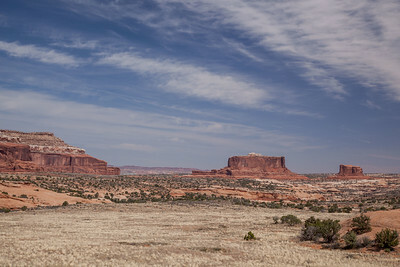 The Monitor and the Merrimac, West of Moab, Utah. 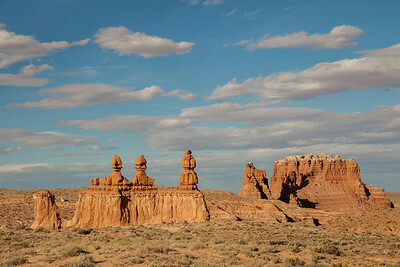 Hoodoos locally known as goblins at Goblin Valley State Park, Utah. 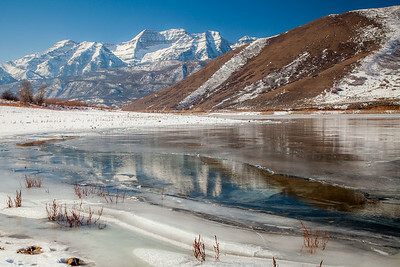 Ice break up begins at Deer Creek Reservoir, Utah. Stansbury Mountains at Great Salt Lake, Utah. View from Antelope Island across the Great Salt Lake to Fremont Island and the Promontory Mountains. Selfie taken at Goblin Valley State Park, Utah. Donna lives in Bozeman, Montana. She works for a regional nonprofit that engages in youth development and conservation service work. She spends much of her free time wandering in and photographing the wild world.